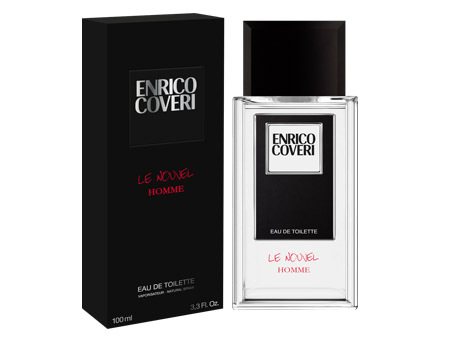 A wind of freshness is blowing on the new and much awaited fragrance from Enrico Coveri! First, take in your hands a new bottle. You’ll recognize the familiar design but this time, the lid is black and a touch of red adds a hint of passion! Seduction and originality make this scent unrivaled. Bergamot is always here, accompanied by citrus (grapefruit and mandarin) and enhanced by the original scent of thyme. To finish, you’ll find the favorite base notes dear to Enrico Coveri: sandalwood, musk, Tonka bean and amber. The Nouvel Homme is modern, class and trendy.